Tyler Hubby, Tony Conrad: Completely in the Present, 2016, HD video, color, sound, 96 minutes. Tony Conrad. JOYOUS, EXHILARATING, AND TRANSFORMATIVE, Tyler Hubby’s documentary Tony Conrad: Completely in the Present is essential viewing for anyone involved in the history of music and visual art—and their interpenetration throughout the second half of the twentieth century right up to today’s web-based “goings on,” to borrow the phrase Conrad uses early in the film to describe how his $25.04 a month, Ludlow Street apartment saw the beginnings of the most subversive art of the first half of the 1960s. It was there that Conrad collaborated with Jack Smith on the soundtrack for Flaming Creatures (1963) and began his experiments with pulsating frequencies of light that would result in The Flicker (1966), experientially the most maximalist of minimalist films. Ludlow Street was also where Conrad and John Cale explored the amplified violin and viola drones, which transformed La Monte Young and Marian Zazeela’s “Theater of Eternal Music aka the Dream Syndicate.” And it was there that Conrad, Cale, and Walter De Maria met a two-bit record promoter who was looking for a backup band for a young singer/guitarist named Lou Reed. Presuming that these long-haired guys couldn’t play rock, he tuned all the strings on their guitars to the same note. This proto-punk group was called the Primitives, and the ten-second clip of them playing is one of the film’s most delirious moments. Conrad died at age seventy-six in April 2016, before Hubby had finished his feature-length portrait, but his antic presence and quicksilver intelligence enlivens almost every sequence. Hubby began filming Conrad’s performances and interviewing him on camera in 1994. In 2010, he proposed turning this archive into a feature. 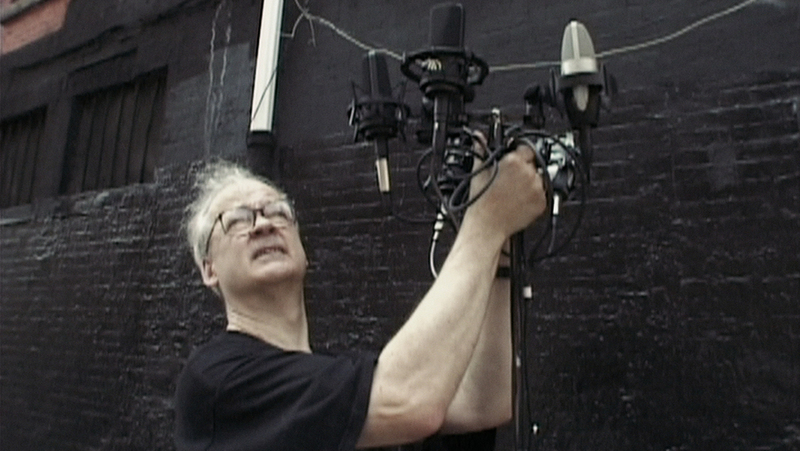 A collaborator by temperament, Conrad threw himself into the project, not only providing the narrative thread but also a couple of on-camera performances that speak to his aesthetic maxim: “History is like music: completely in the present.” Tony Conrad concludes with the artist improvising a sound work specifically for film, standing in the middle of a Manhattan intersection, arms raised like an orchestra conductor, cueing cars and trucks by anticipating the noise they will make as they pass, even though none of the drivers notice him at all. Cause and effect are intertwined to mindboggling and hilarious effect. Cale left the Dream Syndicate for the Velvet Underground; Conrad found a community in avant-garde film. But after Reed fired Cale from the VU and he was at loose ends, he and Conrad revived their string-drone collaborations. Some of these works can be found on the box set John Cale: New York in the 1960s, released in 2000 on Jeff Hunt’s Table of the Elements label. Hunt, who played a big part in Conrad’s return to music in the early 1990s, is one of the film’s most articulate expert witnesses to Conrad’s artistic achievements. Among the others are Branden W. Joseph, author of the 2008 Beyond the Dream Syndicate: Tony Conrad and the Arts after Cage; Los Angeles MoCA director Philippe Vergne, who recounts how he tried to convince a group of collectors that they couldn’t understand American avant-garde art without knowing Conrad’s work, only to be told, “If he’s so important, then why is his work so cheap?”; and the filmmaker/archivist Andrew Lampert, who laments the shelves of many hundreds of Conrad’s films, videotapes, and audio recordings that are decaying faster than funds can be found to preserve them. In 2000, Table of the Elements finally released digital remasters of three early-’60s Dream Syndicate recordings, which Hunt says appeared mysteriously in the mail one day, as well as the boxed set Tony Conrad: Early Minimalism, which includes one work that is actually “early,” Conrad’s divine Four Violins (1964), as well as other disks by Conrad, MacLise, and Jack Smith. Conrad’s life fits perfectly into a three-act form and Hubby runs with it: Act Two encompasses the late ’70s to the mid-’90s, when Conrad taught at various colleges, settling finally at SUNY-Buffalo, where he got involved with public-access cable, encouraging people not only to talk back to the camera but to pick it up themselves. At the University of California, San Diego, he began collaborations with Tony Oursler and Mike Kelley, who then came to Buffalo to perform in a film, which exists only as four hours of unfinished footage. Conrad built a convincing replica of a line of prison cells at one end of his Buffalo loft. When he ran out of money for the film, he left them intact and continued renting the loft, finally, according to Lampert, buying the building. Plans to return to the project twenty years later (the fictional prisoners were lifers) came to an end when Kelley committed suicide. The jail-film project harks back to the long durations of Conrad’s ’60s music and could be seen as the underbelly of De Maria’s immaculate permanent installations New York Earth Room, 1977, and The Broken Kilometer, 1979. In Act Three, Conrad returns full blast to making music and gains recognition in the gallery and museum sphere. For “WiP,” his 2013 show at Greene Naftali, he built a version of the set for the jail film, replete with colored strobe lights and excerpts from the sound track of the now permanently unfinished work. Hubby chose not to mention Conrad’s death on April 7, 2016. It’s the right choice: If they are well cared for, films, like music, live forever “in the present”; corporeal bodies, sadly, do not. 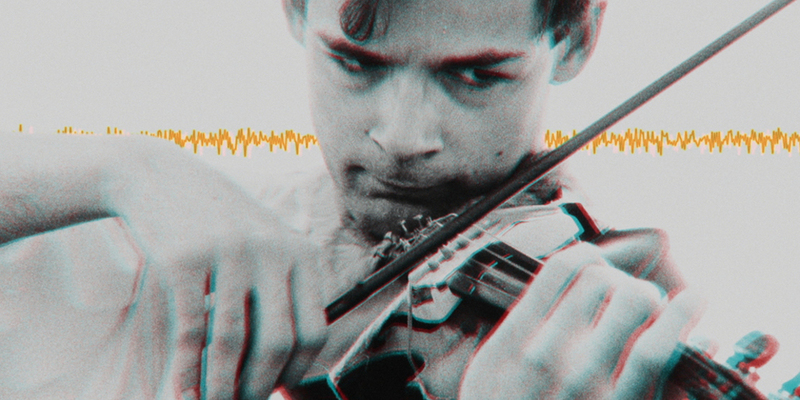 Tony Conrad: Completely in the Present plays tonight, April 6, at 7:15 and 9 PM at Anthology Film Archives and streams on Mubi beginning Saturday, April 8. Anthology screens Conrad’s The Flicker and his rarely shown Straight and Narrow (1970) and Film Feedback (1974) on Sunday, April 9 at 3 PM, followed at 4:30 PM by a selection of his almost unknown video and performance documents. From Friday, April 7, to Sunday, April 9, Conrad’s life will be celebrated at various venues in New York. 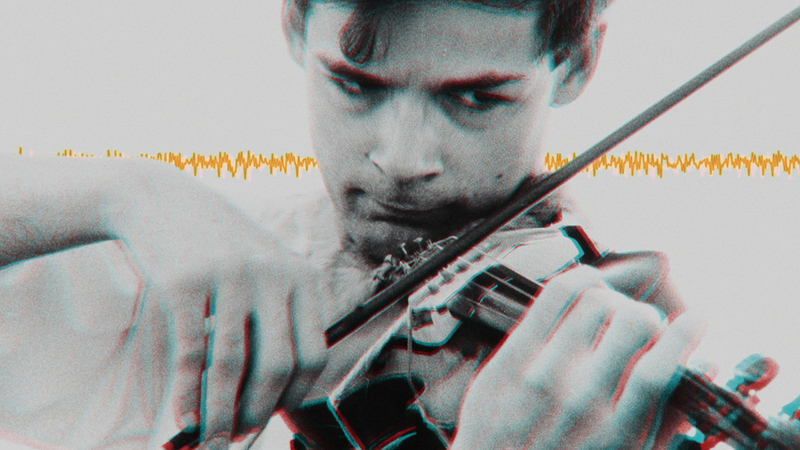 On April 7 and 8, Tony Conrad’s Waterworks, 1972–2012, will be showing at Greene Naftali Gallery, and from April 7 through 9, Invented Acoustical Tools: Instruments, 1966–2012 will show at Galerie Buchholz. On April 8 at 3 PM there will be a memorial for Conrad at the Clemente Soto Vélez Cultural and Educational Center in Manhattan, and at 10 PM a performance at the Knockdown Center in Queens. And on April 9 at 7:30 PM there will be performances by Charlemagne Palestine and Rhys Chatham duo / C. Spencer Yeh / HEVM (MV Carbon, Hunter Hunt-Hendrix, Eve Essex) at (Le) Poisson Rouge.